"Majdanek" redirects here. For other uses, see Majdanek (disambiguation). Majdanek or KL Lublin was a Nazi German Extermination camp established on the outskirts of the city of Lublin during the German occupation of Poland in World War II. Although initially purposed for forced labor rather than extermination, the camp was used to kill people on an industrial scale during Operation Reinhard, the German plan to murder all Jews within their own General Government territory of Poland. The camp, which operated from October 1, 1941 until July 22, 1944, was captured nearly intact, because the rapid advance of the Soviet Red Army during Operation Bagration prevented the SS from destroying most of its infrastructure, but also due to ineptitude of commandant Anton Thernes who failed in his task of removing incriminating evidence of war crimes. Therefore, Majdanek became the first concentration camp discovered by Allied forces. Also known to the SS as Konzentrationslager Lublin, Majdanek remains the best preserved Nazi concentration camp of the Holocaust. Unlike other similar camps in Nazi occupied Poland, Majdanek was not located in a remote rural location away from population centres, but within the boundaries of a major city (see also: Nisko Plan preceding the formation of the Ghetto). This proximity led the camp to be named Majdanek by local people in 1941 ("little Majdan") because it was adjacent to the suburb of Majdan Tatarski in Lublin. The Nazi documents initially called the site a Prisoner of War Camp of the Waffen-SS in Lublin because of the way it was operated and funded. It was renamed by RSHA in Berlin as Konzentrationslager Lublin on April 9, 1943; however, the local Polish name is how it is remembered. Concentration camp Lublin Majdanek was established in October 1941 on the orders of Reichsführer-SS Heinrich Himmler, forwarded to Odilo Globocnik soon after his visit to Lublin on 17–20 July 1941 in the course of the initially successful German attack on the Soviet positions in eastern Poland. The original plan drafted by Himmler was for the camp to hold at least 25,000 POWs. Following the large numbers of Soviet prisoners-of-war captured during the Battle of Kiev, the projected capacity was subsequently established at 50,000 and construction for that many began on October 1, 1941 (as it did also in Auschwitz-Birkenau, which had received the same order). In early November, the plans were extended to allow for 125,000 inmates and in December to 150,000. It was further increased in March 1942 to allow for 250,000 Soviet prisoners of war. Construction began with 150 Jewish forced laborers from one of Globocnik's Lublin camps, whence the prisoners returned each night. Later the workforce included 2,000 Red Army POWs, who had to survive extreme conditions, including sleeping out in the open. By mid-November only 500 of them were still alive, of which at least 30% were incapable of further labor. In mid-December, barracks for 20,000 were ready when a typhus epidemic broke out, and by January 1942 all the forced laborers – POWs as well as Polish Jews – were dead. All work ceased until March 1942, when new prisoners arrived. Although the camp did eventually have the capacity to hold approximately 50,000 prisoners, it did not grow significantly beyond that size. In July 1942, Himmler visited Belzec, Sobibor, and Treblinka; the three camps built specifically for Operation Reinhard to eliminate Polish Jewry (cf. "Solution of the Jewish Question") in the five districts of occupied Poland that constituted the Nazi Generalgouvernement. Those camps had begun operations in March, May and July respectively of that year. Subsequently, Himmler issued an order that the deportation of Jews to the camps be completed by the end of 1942. Majdanek was made into a secondary sorting and storage depot at the onset of Operation Reinhard, for property and valuables taken from the victims at the killing centers in Belzec, Sobibor, and Treblinka. However, due to large Jewish populations in south-eastern Poland including Kraków, Lwów, Zamość and Warsaw which were not yet "processed", Majdanek was refurbished as a killing center around March 1942. The gassing was performed in plain view of other inmates, without as much as a fence around the buildings. Another popular killing method was execution by the squads of Trawnikis. According to the Majdanek museum, the gas chambers began operation in September 1942. Executions were committed via either Zyklon B or asphyxiation by fumes from captured Soviet tank engines. Due to the pressing need for foreign manpower in the war industry, the Jewish laborers from Poland were originally spared, and were (for a time) either kept in the ghettos such as the one in Warsaw (which became a concentration camp after the Warsaw Ghetto Uprising), or sent to labor camps such as Majdanek where they worked primarily at the Steyr-Daimler-Puch weapons/munitions factory. A different angle of the camp's crematorium. By mid-October 1942 the camp held 9,519 registered prisoners, of which 7,468 (or 78.45%) were Jews, and another 1,884 (19.79%) were non-Jewish Poles. By August 1943, there were 16,206 prisoners in the main camp, of which 9,105 (56.18%) were Jews and 3,893 (24.02%) were non-Jewish Poles. Minority contingents included Belarusians, Ukrainians, Russians, Germans, Austrians, Slovenes, Italians, and French and Dutch nationals. According to the data from the official Majdanek State Museum, 300,000 persons were inmates of the camp at one time or another. The prisoner population at any given time was much lower. From October 1942 onwards, Majdanek also had female overseers. These SS guards, who had been trained at the Ravensbrück concentration camp, included the convicted war criminals Elsa Ehrich, Hermine Boettcher-Brueckner, Hermine Braunsteiner, Hildegard Lächert, Rosy Suess (Süss) Elisabeth Knoblich-Ernst, Charlotte Karla Mayer-Woellert, and Gertrud Heise (1942–1944). 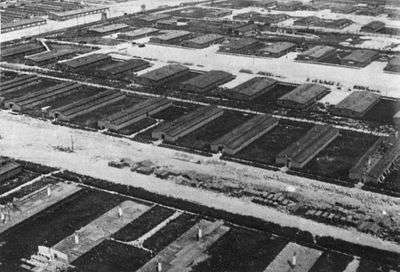 Majdanek did not initially have subcamps. These were incorporated in early autumn 1943 when the remaining forced labor camps around Lublin including Budzyn, Trawniki, Poniatowa, Krasnik, Pulawy, as well as the "Airstrip", and Lipowa concentration camps became sub-camps of Majdanek. From 1 September 1941 to 28 May 1942, Alfons Bentele headed the Administration in the camp. Alois Kurz, SS Untersturmführer, was a German staff member at Majdanek, Auschwitz-Birkenau, and at Mittelbau-Dora. He was not charged. On 18 June 1943 Fritz Ritterbusch moved to KL Lublin to become aide-de-camp to the Commandant. Due to the camp's proximity to Lublin, prisoners were able to communicate with the outside world through letters smuggled out by civilian workers who entered the camp. Many of these surviving letters have been donated by their recipients to the camp museum. In 2008 the museum held a special exhibition displaying a selection of those letters. From February 1943 onwards the Germans allowed the Polish Red Cross and Central Welfare Council to bring in food items to the camp. Prisoners could receive food packages addressed to them by name via the Polish Red Cross. The Majdanek Museum archives document 10,300 such itemized deliveries. Operation Reinhard continued until early November 1943, when the last Jewish prisoners of the Majdanek system of subcamps from the District Lublin in the General Government were massacred by the firing squads of Trawniki men during Operation "Harvest Festival." With respect to main camp at Majdanek, the most notorious executions occurred on November 3, 1943 when 18,400 Jews were killed on a single day. The next morning, 25 Jews who had succeeded in hiding were found and shot. Meanwhile, 611 other prisoners, 311 women and 300 men, were commanded to sort through the clothes of the dead and cover the burial trenches. The men were later assigned to Sonderkommando 1005, where they had to exhume the same bodies for cremation. These men were then themselves executed. The 311 women were subsequently sent to Auschwitz where they were gassed. By the end of Operation "Harvest Festival," Majdanek had only 71 Jews left out of the total number of 6,562 prisoners still alive. Executions of the remaining prisoners continued at Majdanek in the following months. Between December 1943 and March 1944, Majdanek received approximately 18,000 so-called "invalids," many of whom where subsequently gassed with Zyklon B. Executions by firing squad continued as well, with 600 shot on January 21, 1944, 180 shot on January 23, 1944, and 200 shot on March 24, 1944. Adjutant Karl Hoecker's trial reveals his culpability in mass murders committed at this camp. "On 3 May 1989 a district court in the Germany city of Bielefeld sentenced Höcker to four years imprisonment for his involvement in gassing to death prisoners, primarily Polish Jews, in the concentration camp Majdanek in Poland. Camp records showed that between May 1943 and May 1944 Höcker had acquired at least 3,610 kilograms (7,960 lb) of Zyklon B poisonous gas for use in Majdanek from the Hamburg firm of Tesch & Stabenow." In addition, Commandant Rudolf Höss of Auschwitz wrote in his memoirs, penned while awaiting trial in Poland, that one method of murder used at Majdanek (KZ Lublin) was Zyklon-B. In late July 1944, with Soviet forces rapidly approached Lublin, the Germans hastily evacuated the camp. However, the staff had only succeeded in partially destroying the crematoria before Soviet Red Army troops arrived on July 24, 1944, making Majdanek the best-preserved camp of the Holocaust. It was the first major concentration camp liberated by Allied forces, and the horrors found there were widely publicised. The total number of victims is controversial, beginning with the research of Judge Zdzisław Łukaszkiewicz dating back to 1948, who gave the figure of 360,000 victims. It was followed by estimation of around 235,000 victims by Czesław Rajca (1992) from the Majdanek Museum, which was cited by the museum for years. The most recent figure (78,000) was given in 2005 by Tomasz Kranz, director of the Research Department of the State Museum at Majdanek, resulting from the discovery of the Höfle Telegram in 2000. That number is close to the one currently indicated on the museum's website. It is considered "incredibly low" by Rajca, nevertheless it has been accepted by the Museum Board of Directors "with a certain caution", pending further research into the number of prisoners who were not entered into the Holocaust train records by German camp administration. For now, the Museum informs that based on new research, some 150,000 prisoners arrived at Majdanek during the 34 months of its existence. Of the more than 2,000,000 Jewish people killed in the course of Operation Reinhard, some 60,000 Jews (56,000 known by name) were most certainly exterminated at Majdanek, amongst its almost 80,000 victims accounted for, altogether. The Soviets initially overestimated the number of deaths, claiming at the Nuremberg Trials in July 1944 that there were no fewer than 400,000 Jewish victims, and the official Soviet count was of 1.5 million victims of different nationalities, Independent Canadian journalist Raymond Arthur Davies, who was based in Moscow and on the payroll of the Canadian Jewish Congress, visited Majdanek on August 28, 1944. The following day he sent a telegram to Saul Hayes, the executive director of the Canadian Jewish Congress. It states: "I do wish [to] stress that Majdanek where one million Jews and half a million others [were] killed" and "You can tell America that at least three million [Polish] Jews [were] killed of whom at least a third were killed in Majdanek" though this estimate was never taken seriously by scholars. In 1961, Raul Hilberg estimated the number of the Jewish victims at 50,000, though at the time other sources, including the camp museum, officially estimated 100,000 Jewish victims and up to 200,000 non-Jews killed. In 1992, Dr. Czesław Rajca published his own estimate of 235,000; it was displayed at the camp museum. The 2005 research by the Head of Scientific Department at Majdanek Museum, historian Tomasz Kranz indicated that there were 79,000 victims, 59,000 of whom were Jews. The differences in estimates stem from different methods used for estimating and the amounts of evidence available to the researchers. The Soviet figures relied on the most crude methodology, also used to make early Auschwitz estimates—it was assumed that the number of victims more or less corresponded to the crematoria capacities. Later researchers tried to take much more evidence into account, using records of deportations and population censuses, as well as the Nazis' own records. Hilberg's 1961 estimate, using these records, aligns closely with Kranz's report. The well-preserved original ovens in the second Crematorium at Majdanek were built in 1943 by Heinrich Kori. They replaced the ovens brought to Majdanek from Sachsenhausen concentration camp in 1942. After the break down of the camp, in August 1944 the Soviets protected the camp area and convened a special Polish-Soviet commission, to investigate and document the crimes against humanity committed at Majdanek. This effort constitutes one of the first attempts to document the Nazi war crimes in Eastern Europe. In the fall of 1944 the Majdanek State Museum was founded on the grounds of the Majdanek concentration camp. In 1947 the actual camp became the monument of martyrology by the decree of Polish Parliament. In the same year, some 1,300 m³ of surface soil mixed with human ashes and fragments of bones was collected and turned into a large mound. Majdanek received the status of the national museum in 1965. Some Nazi personnel of the camp were prosecuted immediately after the war, and some in the decades afterward. In November and December 1944, four SS Men and two kapos were placed on trial; one committed suicide and the rest were hanged on December 3, 1944. The last major, widely publicized prosecution of 16 SS members from Majdanek (Majdanek-Prozess in German) took place from 1975 to 1981 in West Germany. However, of the 1,037 SS members who worked at Majdanek and are known by name, only 170 were prosecuted. This was due to a rule applied by the West German justice system that only those directly involved in the murder process could be charged. SS-Standartenführer Karl-Otto Koch, camp commandant from October 1941 to August 1942 executed by the SS on April 5, 1945 for robbing the Reich of Jewish gold and money. SS-Sturmbannführer Max Koegel, camp commandant from August 1942 to November 1942 committed suicide in his prison cell a day after his arrest on June 27, 1946. SS-Obersturmführer Hermann Florstedt, camp commandant from November 1942 to October 1943 executed by the SS for stealing from the Reich to become exuberantly rich, same as Koch, on April 15, 1945. SS-Obersturmbannführer Martin Gottfried Weiss, camp commandant from November 1, 1943 to May 5, 1944 hanged on May 29, 1946. SS-Obersturmbannführer Arthur Liebehenschel, camp commandant from May 5, 1944 to July 22, 1944 executed by hanging on January 28, 1948. The second in command throughout was SS Obersturmführer Anton (Anthony) Thernes executed on December 3, 1944. After the capture of the camp by the Soviet Army, the NKVD retained the ready-made facility as a prison for soldiers of the Armia Krajowa (AK, the Home Army resistance) loyal to the Polish Government-in-Exile and the Narodowe Siły Zbrojne (National Armed Forces) opposed to both German and Soviet occupation. The NKVD like the SS before them used the same facilities to imprison and torture Polish patriots. On August 19, 1944, in a report to the Polish government-in-exile, the Lublin District of the Home Army (AK) wrote: "Mass arrests of the AK soldiers are being carried out by the NKVD all over the region. These arrests are tolerated by the Polish Committee of National Liberation, and AK soldiers are incarcerated in the Majdanek Camp. Losses of our nation and the Home Army are equal to the losses which we suffered during the German occupation. We are paying with our blood." Among the prisoners at the Majdanek NKVD Camp were Volhynian members of the AK, and soldiers of the AK units which had been moving toward Warsaw to join in the Warsaw Uprising. On August 23, 1944, some 250 inmates from Majdanek were transported to the rail station Lublin Tatary. There, all victims were placed in cattle cars and taken to camps in Siberia and other parts of the Soviet Union. In July 1969, on the 25th anniversary of its liberation, a large monument designed by Wiktor Tołkin (a.k.a. Victor Tolkin) was constructed at the site. It consists of two parts: a large gate monument at the camp's entrance and a large mausoleum holding ashes of the victims at its opposite end. In October 2005, in cooperation with the Majdanek museum, four Majdanek survivors returned to the site and enabled archaeologists to find some 50 objects which had been buried by inmates, including watches, earrings, and wedding rings. According to the documentary film Buried Prayers, this was the largest reported recovery of valuables in a death camp to date. Interviews between government historians and Jewish survivors were not frequent before 2005. The camp today occupies about half of its original 2.7 km2 (ca. 670 acres), and—but for the former buildings—is mostly bare. A fire in August 2010 destroyed one of the wooden buildings that was being used as a museum to house seven thousand pairs of prisoners' shoes. 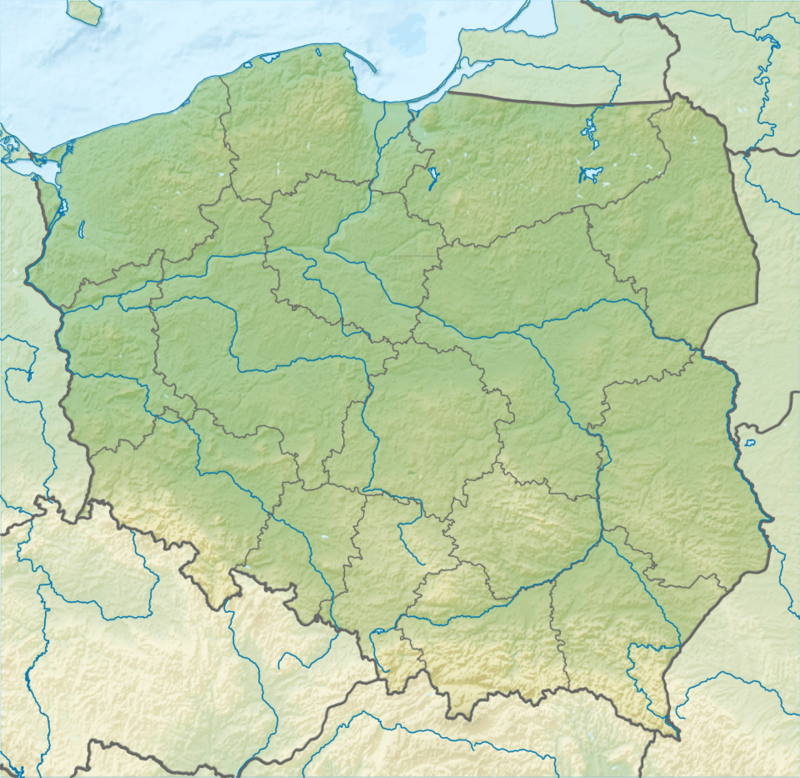 The city of Lublin has tripled in size since the end of World War II, and even the main camp is today within the boundaries of the city of Lublin. It is clearly visible to many inhabitants of the city's high-rises, a fact that many visitors remark upon. The gardens of houses and flats border on and overlook the camp. Mietek Grocher – Survived nine different camps. Now a lecturer residing in Västerås, Sweden. Author of Jag överlevde (eng. I Survived). Vladek Spiegelman, whose story is the basis for Art Spiegelman's Maus. 1 2 3 4 5 6 7 Reszka, Paweł (2005-12-23). "Majdanek Victims Enumerated. Changes in the history textbooks?". Gazeta Wyborcza. Auschwitz-Birkenau State Museum. Retrieved 2010-04-13. 1 2 "Discovery of Concentration Camps and the Holocaust - World War II Database". ww2db.com. 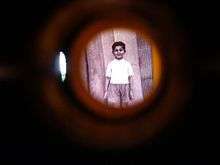 ↑ Rosenberg, Jennifer (2008), "Majdanek: An Overview", 20th Century History, about.com . ↑ "Założenia i budowa (Purpose and construction, selection of photographs)". Majdanek concentration camp. KL Lublin Majdanek.com.pl. Archived from the original on January 2, 2011. Retrieved 2013-04-18. Concentration camp name change 9.04.1943. 1 2 Muzeum (2006). "Rok 1941". KL Lublin 1941-1944. Historia. Państwowe Muzeum na Majdanku. Retrieved 5 July 2015. 1 2 3 Holocaust Encyclopedia (2006), Lublin/Majdanek Concentration Camp: Overview, United States Holocaust Memorial Museum, archived from the original (Internet Archive) on January 18, 2012, retrieved 4 November 2013 . ↑ Jamie McCarthy (September 15, 1999). "Pat Buchanan and the Holocaust". The Holocaust History Project. Retrieved 2013-05-05. The victims at the Reinhard camps were suffocated to death, not killed with carbon monoxide, because, although an intentionally-mistuned diesel produces enough carbon monoxide to kill you, the lack of oxygen will kill you first. ↑ "KZ Aufseherinnen". Majdanek Liste. Axis History ‹ Women in the Reich. 3 Apr 2005. Retrieved April 1, 2013. Source: Frauen in der SS at the Wayback Machine (archived June 6, 2007) See: index or articles ("Personenregister"). Oldenburger OnlineZeitschriftenBibliothek. 1 2 3 4 Czerwinska, Ewa (August 19, 2008), "Listy z piekła", Kurier Lubelski . ↑ Majdanek State Museum (2006), "List of archives", Kartoteka PCK, archived from the original on September 17, 2007 – via Internet Archive . ↑ Lawrence, Geoffrey; et al., eds. (1946), "Session 62: February 19, 1946", The Trial of German Major War Criminals: Sitting at Nuremberg, Germany, 7, London: HM Stationery Office, p. 111 . ↑ Staff Writer (August 21, 1944), "Vernichtungslager", Time magazine (August 21, 1944), retrieved May 12, 2010 . ↑ "Państwowe Muzeum na Majdanku". Majdanek.eu. ↑ PMnM staff writer (2006). "Historia Obozu (Camp History)". KL Lublin 1941–1944. Państwowe Muzeum na Majdanku (Majdanek State Museum). Retrieved 10 August 2013. ↑ PMnM staff writer (2013). "Udzielanie informacji o byłych więźniach (Information about former inmates)". KL Lublin Prisoner Index. Państwowe Muzeum na Majdanku (Majdanek State Museum). Retrieved 11 August 2013. The Museum database consists of 56,000 names recorded by German camp administration usually with Germanized or (simplified) phonetic spelling with no diacritics. The Museum provides personal certificates upon written request. ↑ Aktion Reinhard (PDF), Shoah Resource Center, The International School for Holocaust Studies, Yad Vashem.org, 29 Feb 2004, p. 2 . 1 2 Kranz, Tomasz (2005), Ewidencja zgonów i śmiertelność więźniów KL Lublin, 23, Lublin: Zeszyty Majdanka, pp. 7–53 . ↑ "Nuremberg Trial. 19 Feb 1946. Evidence submitted by Polish-Soviet Extraordinary Commission's report on Maidanek". 1 2 3 Bialystok, Franklin (2002). Delayed Impact: The Holocaust and the Canadian Jewish Community. McGill-Queens. p. 25. ISBN 978-0-7735-2065-3. ↑ "Collection Guide". Canadian Jewish Congress Charities Committee National Archives. ↑ "Crematorium at Majdanek". Jewish Virtual Library. 2013. Retrieved 2013-04-15. ↑ Danuta Olesiuk, Krzysztof Kokowicz. ""Jeśli ludzie zamilkną, głazy wołać będą." Pomnik ku czci ofiar Majdanka". Państwowe Muzeum na Majdanku (Majdanek State Museum). Retrieved 2013-04-29. ↑ Witos, A., et al., eds. (1944), Commique of the Polish-Soviet Extraordinary Commission for Investigating the Crimes Committed by the Germans in the Majdanek Extermination Camp in Lublin, Moscow: Foreign Languages Publishing House . ↑ "Kalendarium". Powstanie Państwowego Muzeum (Creation of the Museum). Państwowe Muzeum na Majdanku. Retrieved 2013-04-09. ↑ Staff Writer (November 15, 2005), "Survivors find hidden treasures", News 24, news24.com . 1 2 3 Roberts, Sam (November 4, 2005), "Treasures Emerge From Field of the Dead at Maidanek", New York Times . Wikimedia Commons has media related to Majdanek concentration camp.